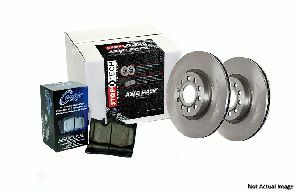 Showing 1 - 10 of 11 Products for Disc Brake Pad and Rotor Kit. Designed as a premium OE upgrade, the Preferred Axle Pack includes Centric Premium black rotors and award-winning Posi Quiet pads for improved performance and service life with low dust and noise. 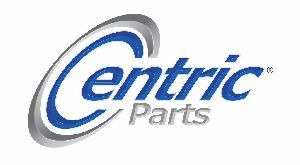 Designed as a standard OE replacement kit, these Select Axle Packs include drilled and slotted C-Tek silver rotors and Centric Premium pads. The best of both worlds, these StopTech Street Axle Packs feature cross-drilled StopTech Sport Rotors and StopTech Street pads for significantly improved performance with low dust and noise. The best of both worlds, these StopTech Street Axle Packs feature slotted StopTech Sport Rotors and StopTech Street pads for significantly improved performance with low dust and noise. The best of both worlds, these StopTech Street Axle Packs feature drilled & slotted StopTech Sport Rotors and StopTech Street pads for significantly improved performance with low dust and noise. Designed to improve a vehicle’s looks and braking performance without breaking the bank, StopTech Select Sport Axle Packs include drilled & slotted silver zinc-coated rotors and StopTech Street Pads.